after that I made Tarkovsky’s River and a 45 sec short called Berlin Love Story. Am still working on Berlin Bridges. 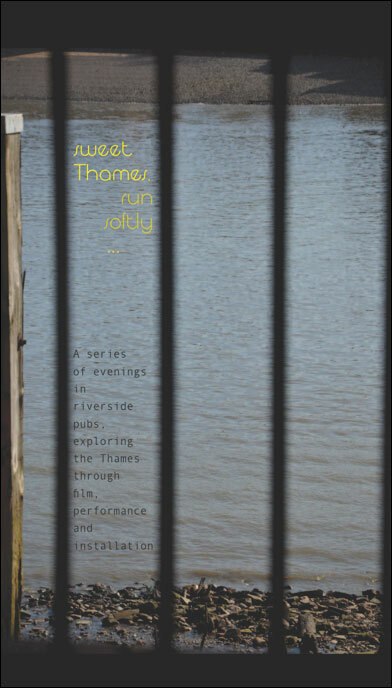 SWEET THAMES RUN SOFTLY will be held at the wonderful Mayflower in Rotherhithe. yes it is THAT Mayflower and it is the oldest pub on the River Thames. This is a unique event presenting video works and my river film Mosti The Bridges of St Petersburg will be shown there as part of the programme. Curated by Lisa Peachey and Ellie Reid.